The length of the base is 20". The diameter of the drum is 15". 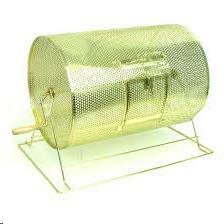 * Please call us with any questions about our raffle drum rentals in Allentown PA, serving Bethlehem, Easton, Quakertown, Phillipsburg NJ, and the Lehigh Valley areas.